AGR Dynamics has partnered with KT húsið to bring their supply chain management solution to retail and wholesale businesses in the Faroe Islands. 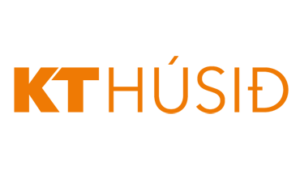 KT Húsið was founded in 2012 and offers software, hardware, and high-quality service to their B2B customer base. “Our cooperatation with AGR Dynamics was to provide a professional supply chain management tool that fits well with the Faroese market and the special logistical challenges we have in optimizing inventories in terms of overseas transport, long lead times, etc.”, says Hans Blaasvær, CEO, at KT húsið in Tórshavn. AGR Dynamics previously held a breakfast conference in cooperation with KT húsið in the beginning of this year and the response from the Faroese market for the AGR system was very positive. “The AGR system has, so far, been implemented at XL-BYG, a DIY home store in Torshavn, with the help of KT húsið, and we look forward to expanding our customer base within the Faroe Islands,” says Finnur Bragason, Head of Sales and Marketing at AGR Dynamics. For more information about this partnership, check out the KT húsið partner page here.